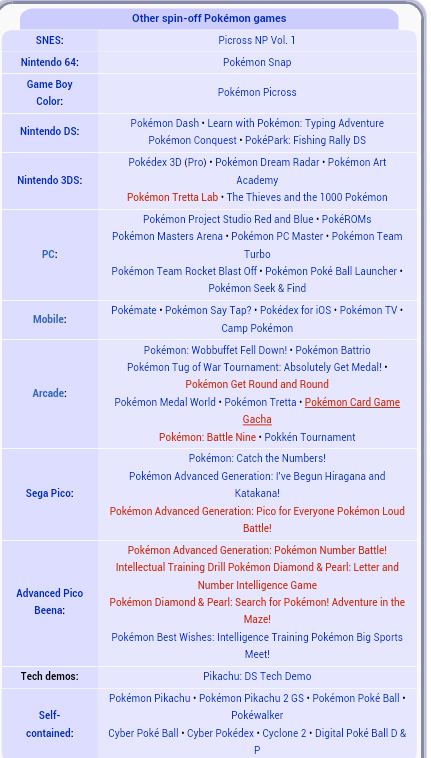 What are all the non-main series Pokemon Games? Things like Pokemon Dash, Pokemon Rumble, etc. I'm asking because I'd like to try out some games that aren't in the main series. 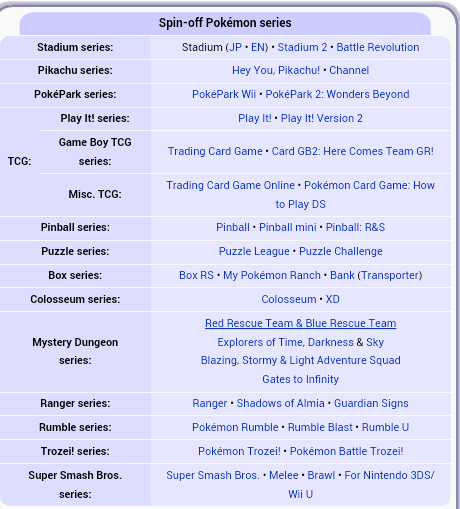 The list is roughly in order of release, so if you're looking for 3DS / DS games, look more to the bottom. GB / GBC will be at the top etc. On a side note, I recommend the Pokemon Ranger games. They're great fun and the story is actually really nice. What are all the OSTs in the main series games that feature piano prominently? How many places are there to catch a Pokemon in all the main series games? How many NPCs are in each of the main series games? Is Shadow Mewtwo in the main series games?